We all know that we should listen to our doctors. They want us to ignore the daily call of the sugar craving. Abstain from smoking cigarettes. Stretch in the mornings and exercise in the evenings. The thing is, it's hard to obey those strongly worded suggestions. Come two o clock in the afternoon, visions of the cookies in the breakroom are dancing in our head no matter how much we nodded as we sat on the exam table. Our advice, Doctors ought to dress in a memorable way! They've tried this out in the past. They've tried hideous ties featuring cartoon characters or golfing motifs but that's not really what we were thinking. We were thinking about a doctor ensemble that will inspire us to reach for those carrot sticks when we're ravenous at the end of the workday. That's where this outfit comes in! 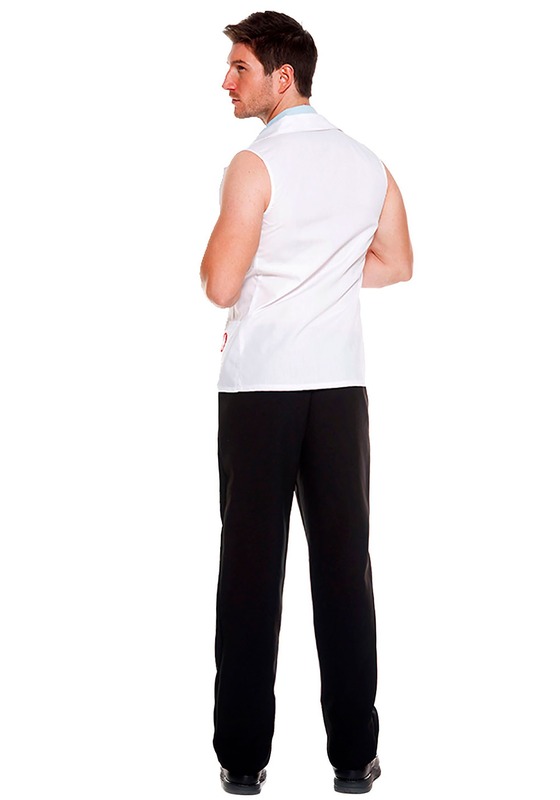 This sleeveless doctor top will make you look like a hero of the E.R. without all the mess that comes with dealing with actual patients. The top has an official-looking light blue shirt front with the red cross accented sleeveless lab coat (Still a coat, not a vest). Top it all off with the conversation-starting stethoscope and you'll be ready to dole out some advice. Some say you get healthy, wealthy, and wise by having a consistent sleep schedule. While we're all for being well rested, we think those virtues can be gained by dressing the part. Or at least you'll feel like you're all three of those things and that's what matters, right? When you're working the room, it doesn't matter what reality really is! 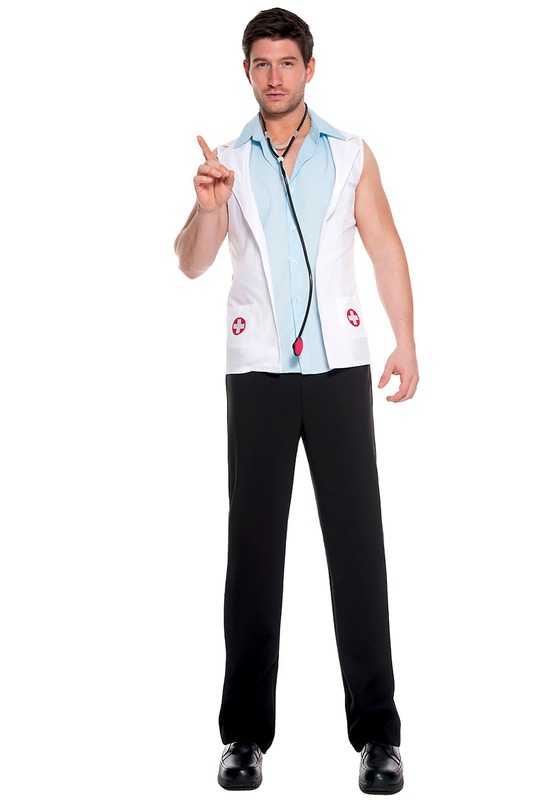 So, whether you're pairing this costume with a nurse ensemble or you're headed out to save the day solo, you're sure to gain the confidence of the potential patients in the room. 'Cause really, who's the one with the stethoscope in the room?